You might not think of England as an "exotic" destination, but you'd be wrong. Visit England and you can visit a rainforest, scuba dive with penguins and explore a tropical Malaysian island, all without using your passport, as England is as exotic as far-flung destinations the world over. The Living Rainforest, for example, is located an hour outside of London near Newbury, and has over 700 species of plants and animals, including the Giant Water Lily, an Amazon water lily leaves reaching up to 2.6m (8′ 6″) wide and strong enough to support the weight of a small child, emerald tree boa snakes, a West African dwarf crocodile named Courtney and a colony of adorable Goeldi’s monkeys, who are part of a international breeding programme for endangered animals. The Living Rainforest also has a series of well-marked tropical trails which allows you to go off and get close to the plants, birds, butterflies, and lizards in the forest. For a dose of diving with penguins, rather than fly to South America or Antarctica, head down to the English Riviera. The Torquay Zoo’s Living Coasts now has a Penguin Beach, complete with its own Penguin Crossing, which allows birds to cross visitor pathways between two sides of the beach, but now experienced divers (who must already be PADI-certified) can get even closer to the birds by diving in the penguin pool. The Living Coasts Dive Experience package is priced at £100 for admission, diving and breakfast for the diver plus one guest. Just three miles from Torquay, visit the exotic Malaysian island environment at Paignton Zoo. The zoo has just been presented with plants and trees from 2011 gold medal-winning Chelsea Flower Show garden, ‘The Tourism Malaysia Garden’. The exotic plants will compliment the zoo’s own Crocodile Swamp and Reptile Tropics, and near to the giant tortoises. The warm weather of the South West allows tropical plants such as palm trees, bananas and citrus plants, which also contribute to the Zoo’s already tropical feel. The Longleat Safari and Adventure Park in Wiltshire has opened its multi-million pound Jungle Kingdom attraction this year, allowing visitors to walk through the meerkat enclosure, hand feed rainbow lorikeets (parrots) and a Monkey Temple with mini monkeys. The safari park also saw its quartet of newborn lion cubs take their first outside steps in May, while a new group of wildebeests, two white rhinos, giant anteaters and porcupines join other animals in the park. 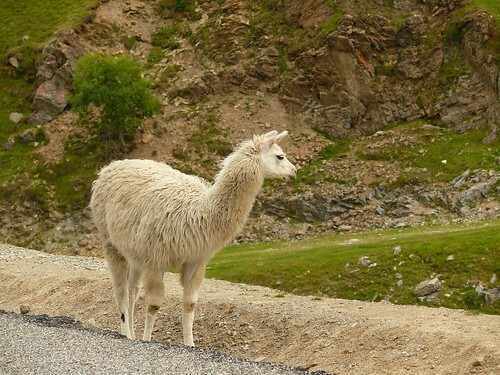 Visitors to East Devon’s Jurassic Coast can walk with Llamas whilst exploring the World Heritage preserved countryside. Pick up your llama at Peak Hill Llamas.